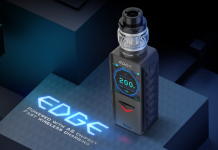 Welcome Vapers, Lorenzo here with another review powered by Vzone. 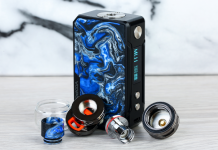 Today I’ll talk about the Vzone Cultura 100W TC Box Mod. Like always before talking about my impressions, pros, and cons, I’ll give you some specs. 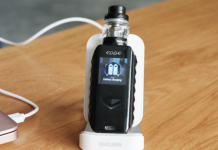 It is a classic vape mod. You just have to click 5 times to turn it on. 3 clicks and you can switch between all the options inside the menu. You also have a TCR. 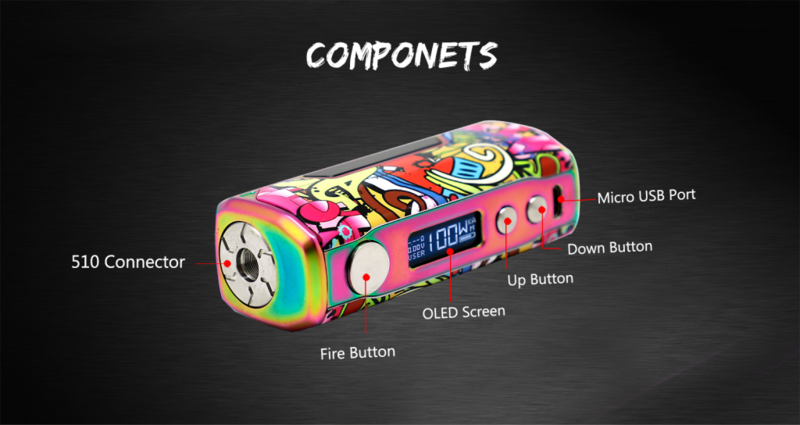 With the plus and minus buttons, you can go between 7W and 100W. 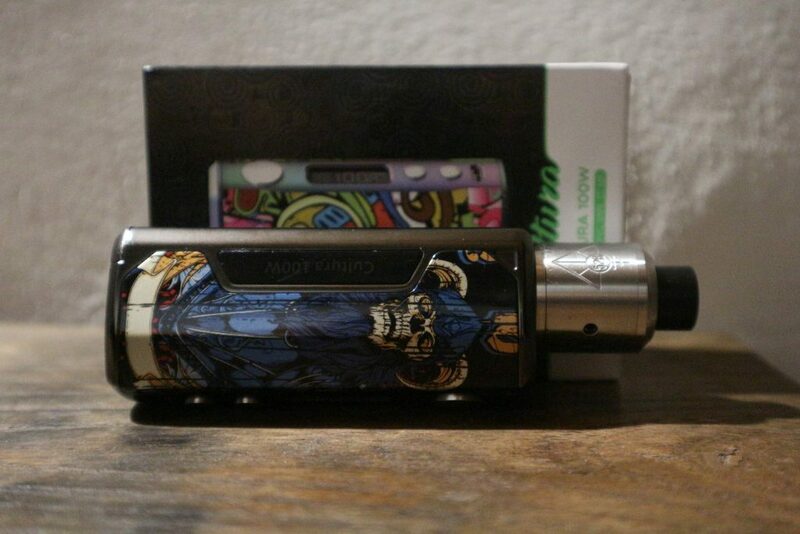 The first thing I noticed when I picked the mod up without the battery, is the weight, 167g. This may depend on the quality of the material used because it seems to be really good. After you turn it on, you instantly understand how to use the circuit as it is very intuitive and fast. The artwork on it is just a sticker but it is well made and definitely resistant. 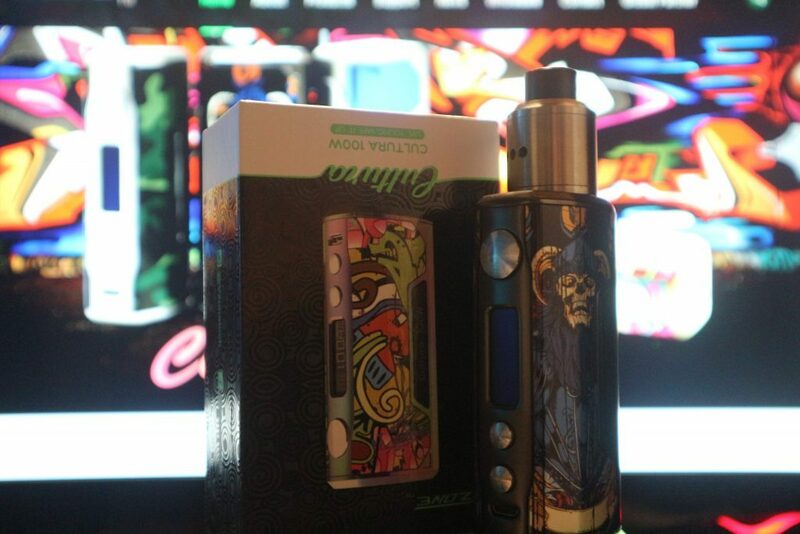 The feel in the hand is nice with a very good grip that gives you the sensation of handling a very nice and solid mod. 510 connector have space between the mod and I think that some liquid could finish there. Alright guys, now you have my final thoughts. 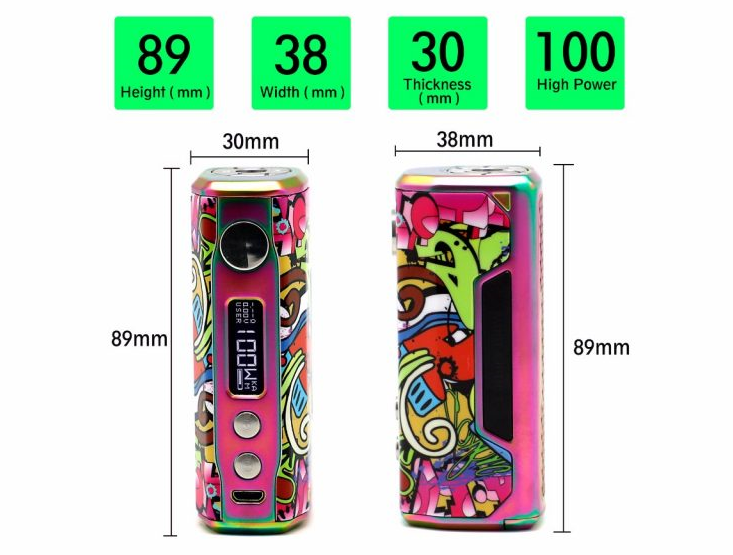 This is a nice looking box mod, very handy made with very good quality materials. It is compact, with a fantastic circuit. I like how it works but unfortunately, there are some bad cons. The space with a big protruding pin and the mod really looks bad, same for the space between the 510 connector and the mod. The artworks are cool and even if it weighs a lot (that for me is a little of a con) it is really easy to handle and feels nice. Make the positive and negative signs more visible, like white on black. If you could also make the weight lighter that would be nicer. The last thing, you could possibly add artwork on the box. You can pay a little more and put it on the box. Probably impossible because you produce on a large scale but it could be nice.